Could a Smart Water Heater Be Part of the Renewable Grid Equation? America’s grid is suffering. The changing landscape of energy distribution has utilities scrambling to find a more robust solution to the nation’s energy systems. Like much of the country’s infrastructure, the grid is aging—and its age means that it may not be equipped to handle the challenges inherent in managing renewables. The grid’s job is not just to ferry energy back and forth along power lines. Sensors on the lines also test the demand users are drawing off the grid. And now, with more homes and businesses converting to solar energy, they also track the amount of energy solar assets put back on the line. Herein lies the problem: on a particularly sunny day, those solar sites could potentially generate too much energy for the grid to handle. In fact, that’s exactly what happened in California last year, when grid managers told solar farms to shutter operations because they were overwhelming lines with electricity. For the most part, our country’s energy systems were designed on a principle of infinite reserves: when demand spiked in a certain area, a backup coal plant came online on to generate the extra energy. And during low-use times, those extra load-balancing plants were shut down. Unfortunately, that’s just not the way renewables work. Because they rely on the unpredictable fluctuations of natural elements, they’re harder to manage—you can’t just turn on more sun when you need more power. And solar energy systems, in particular, are obviously no good at night, or on very cloudy days. That puts a huge obstacle in the path of renewables—but where there is a challenge, there’s usually an invention waiting to change the whole game. And that’s where the smart water heater comes in. Solar panels convert sunlight to electricity—you don’t have to be a tech guru to get that—but that electricity is pretty hard to hold onto once it’s converted. Lithium ion batteries, for instance, one of the more popular choices for solar energy storage, tend to degrade over time due to internal resistance in the battery. They’re also not generally powerful enough to store a utility’s-worth of energy. That means that in order to reach optimal efficiency, the electricity must be converted back to a different energy source in order to store it. Scientists are currently toying with compressed air tanks—but another idea would place energy storage squarely in the hands of residents, through the humble water heater. In particular, grid-interactive smart water heaters could essentially create a network of virtual batteries for solar power. The idea is that electricity can be converted to heat energy—and stored safely in water. 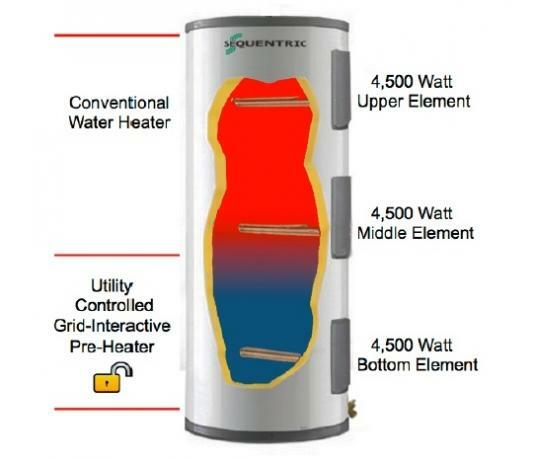 Many hot water heaters are already equipped with grid-responsive technology. Utilities are used to cycling hot water heaters off and on to help manage residential electricity demand. However, with a smart interface, the communication could go both ways—i.e., heaters could send back responses detailing their capacity as well. In models designed by Sequentric Energy Systems, hot water for the utility is stored in a separate compartment, meaning there’s still plenty for residential use when it’s needed. The CEO of electricity transmission organization PJM Interconnection went so far as to file a letter to the Department of Energy claiming that this method was “the most cost-effective form of energy storage available.” For its part, the DOE has launched a pilot program, known as the Pacific Northwest demonstration project, which is testing the ability of utilities to manage renewable assets using M2M communications in smart water heaters. 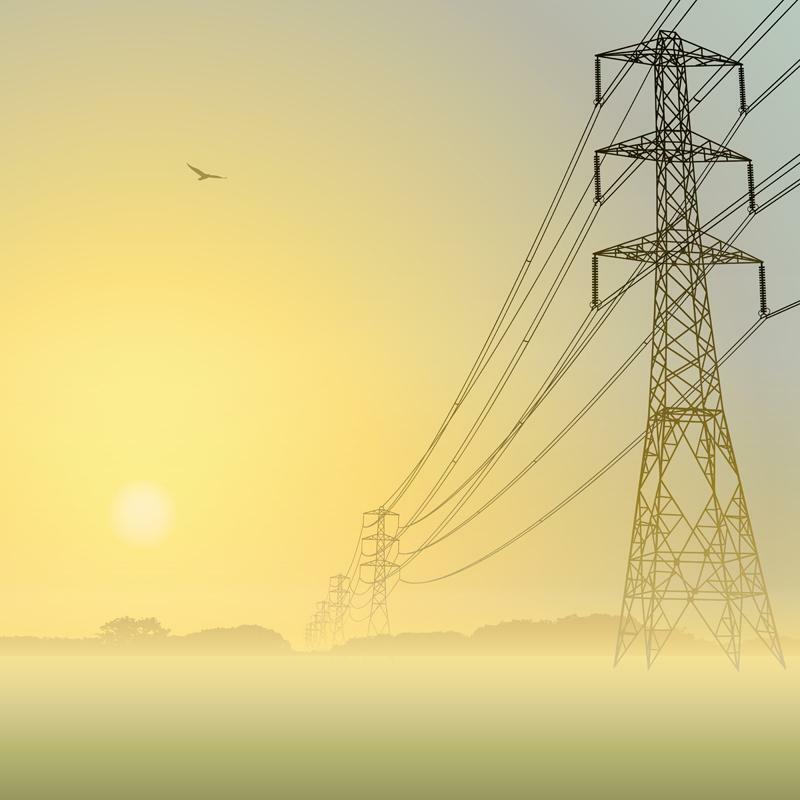 Some 60,000 homeowners are involved, as well as many utilities throughout Idaho, Montana, Oregon, Washington and Wyoming, all with the end goal of developing rapid response grid transmissions and near-instant communications. If successful, that might allow utilities to impose time-of-use pricing, a popular energy concept where energy charges are determined by the amount of demand on the grid when that electricity is used. Overall, that could potentially give energy providers a more realistic measurement of the actual worth of a home’s energy consumption. And it would help measure fluctuations on the grid coming from unpredictable energy sources. With all of that on the line, it’s entirely possible that the key to solar power might be sitting right in your basement. A smart technology that stands to shape the face of America’s energy future? Eat your heart out, Alexa!